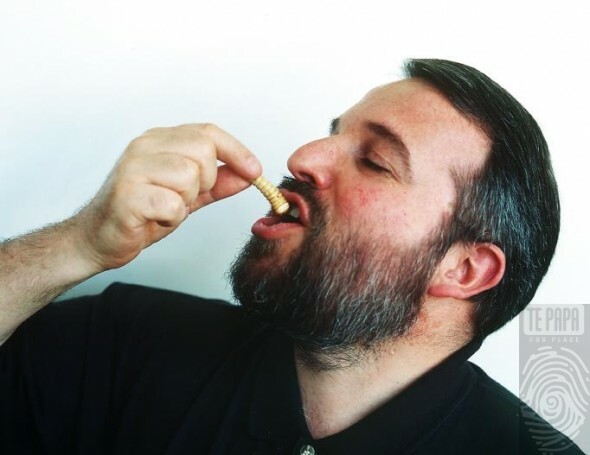 Today’s blog was written by Dr. Ricardo Palma, one of our Invertebrates Curators here at Te Papa. He is a world-renowned specialist of lice. 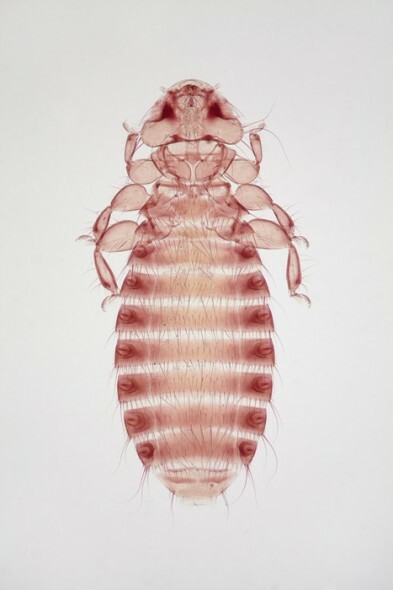 Lice are wingless insects adapted to live as permanent parasites on birds and mammals. Those on birds are called “feather lice” because they not only live among feathers but, also, feed on them. 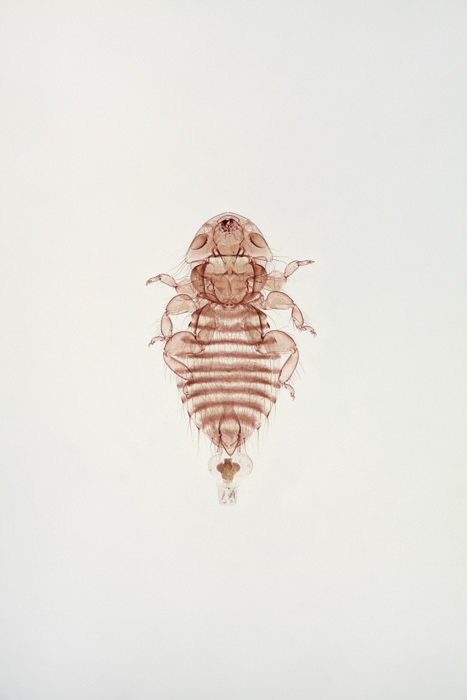 All seabirds have an assortment of different lice living on them, and prions are no exception. 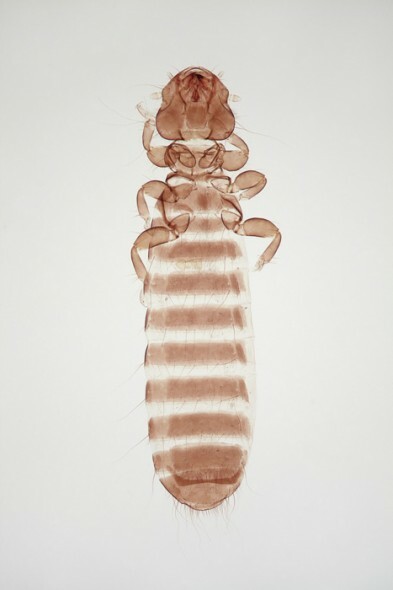 All the species of prions are parasitised by the same species of lice, a fact that indicates the very close evolutionary relationships of the hosts. In total, there are 5 species (in 5 genera) of lice living on prions, and each one has evolved different ecological adaptations. As their vernacular names indicate, each species lives in different parts of the host plumage. 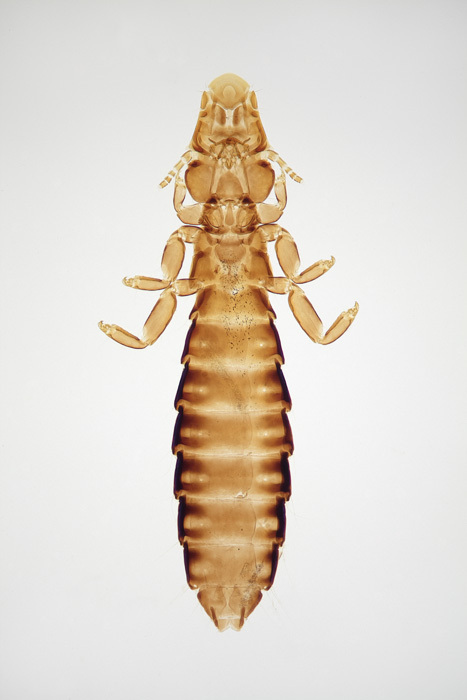 Lice have developed diverse morphological and behavioural adaptations – strong claws and jaws to cling onto feathers, diverse body shapes to hide, ability to run, etc. – to survive on the host and avoid being dislodged into oblivion by the cleaning activities performed by the birds, such as preening, bathing, dusting and sunning. 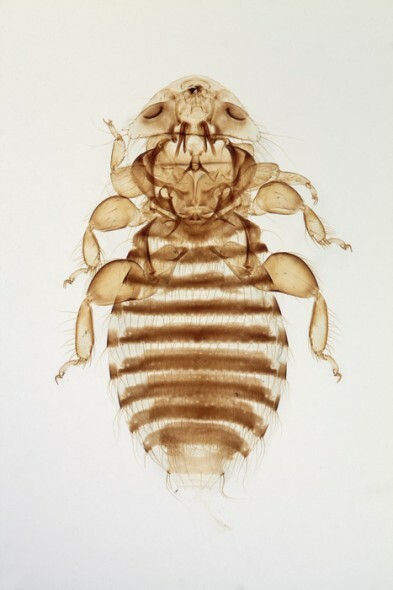 Thus, both species of prion body lice – which live primarily close or on the skin of the birds – have round bodies and long legs adapted to run fast, allowing them to escape from being eaten or dislodged by the prion bill while preening or bathing. 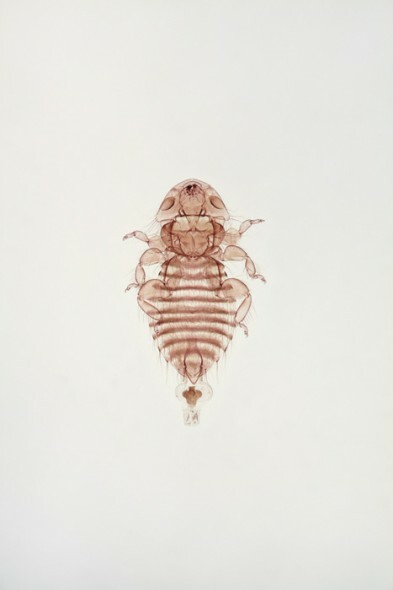 Prion shaft lice are sausage-shaped and able to drill a hole on the soft shaft of growing primary tail feathers (called rectrices) and feed on the pith and blood inside them. As the feather grows and dries up, the holes of different rectrices form a straight line across the tail. These lice also lay eggs, moult their skin and defecate inside the feather shafts. By the time the feather is lost during moulting, its shaft is completely full of lousy debris. Wing lice are long, narrow and flat, so that they find suitable protection between the barbs of wing feathers to avoid being dislodged by the host bill while preening. 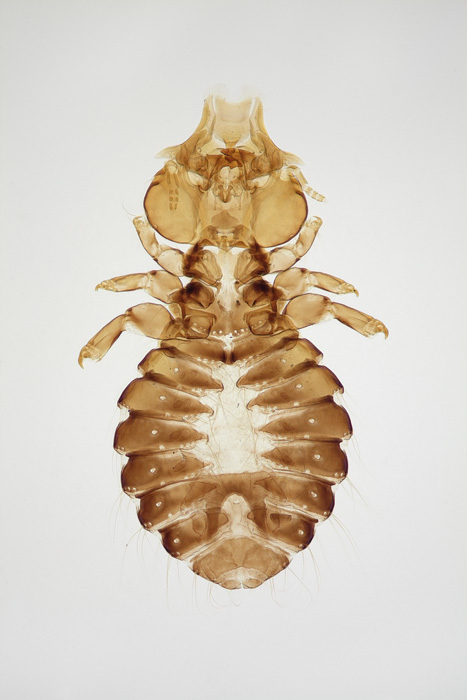 Head & neck lice are flat, round and short. They have very large triangular heads with powerful muscles to operate their jaws, which they used to attach themselves firmly onto the feather barbs and survive the bird’s scratching and other cleaning activities. In summary, there is a kind of eternal “arms race” going on between hosts and all their lice: the former always trying to get rid of them, the latter always trying to hang onto the host. The video of the Oct 22 Science Live event can be watched by clicking below.